Is Hallmark quietly winding down its operations? 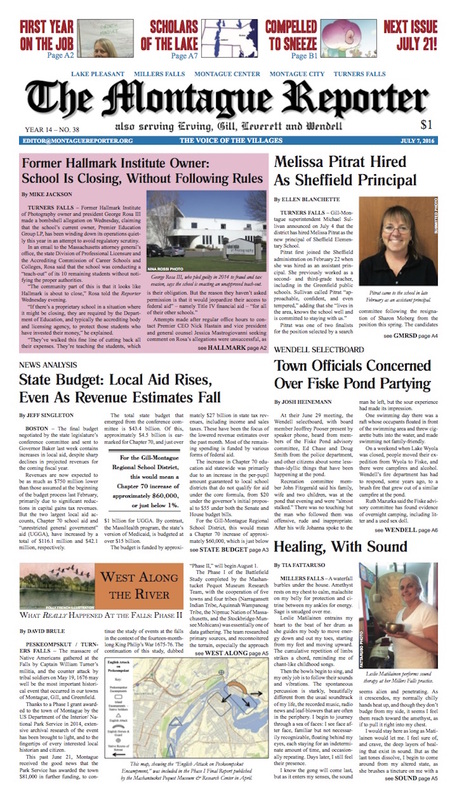 Read about the former owner’s allegations on this week’s Page A1. A familiar face prepares for her first year as Sheffield’s principal, while her middle/high school counterpart reflects back on her first year. Projected revenues are down but local aid is up in the budget sent to the governor this week. Wendell contends with partying at Fiske Pond. A local sound healer helps bodies and minds find harmony. And, just to mix things up, we’ve put a couple of MoRe mainstays in Section A this week: don’t be alarmed when you encounter West Along the River and this month’s NatureCulture science page somewhat earlier than usual. 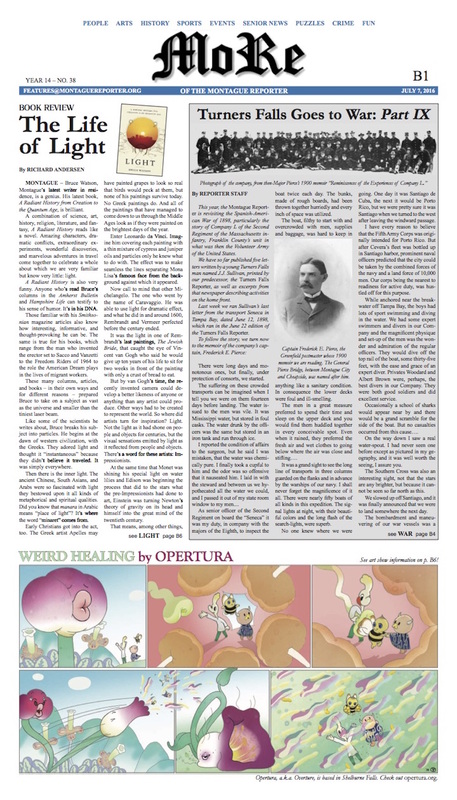 As always, there’s MoRe: Our reviewer finds a local author’s history of light illuminating; Part IX of Turners Falls Goes to War; and a large, colorful Weird Healing graces page B1 as its artists prepare for an opening in Easthampton this Saturday (see event shared on our FB timeline). Franklin County bikers take to the road for good causes; Two Rooms at Silverthorne Theater; and the Pet of the Week is all eyes. Nocturia got you up nights? Check out this week’s Healthy Geezer. Plus, police logs from Montague and Erving; senior center and MCTV listings; and more events and announcements. This issue marks the start of our summer schedule, so savor this issue until our next one hits newsstands in two weeks!